Go to the following link to do the building exercise. When this has been completed please go to this link and do the barrell. 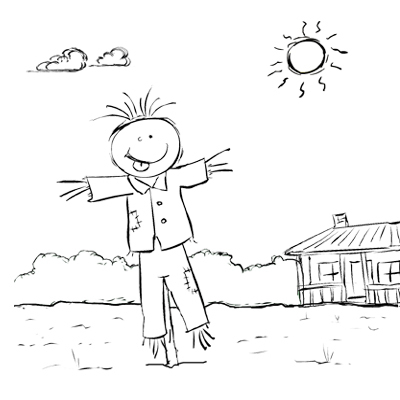 Today we will be doing the scarecrow exercise in photoshop. In the last lesson we looked at the steps involved in the design process. What are some steps towards creating a design? How do you judge the effectiveness of the design? How do you test it on people given OH&S concerns? Write a design brief for an ultra light rail instead of buses. Using the dot points as a guide address the same issues. And remember – if you get sick of listening to me then check out this guy! If you were to asked by someone who had never seen or knew the purpose of the design how would you describe it. What need is it fulfilling? How do you know it has fulfilled its purpose? How would you ensure it meets safety standards? The quad currently is an open, uncovered space. Redesign the quad and take into account the purpose of the redesign. Is it to stimulate students, provide a peaceful environment? What sort of materials would you use. How do you convey the design to the client? What sort of research would you need to to? How do you convince someone that you have the right design idea? How do you convey the design visually? Would you use a walk-through? What software might you use? Write up the design brief for the quad.